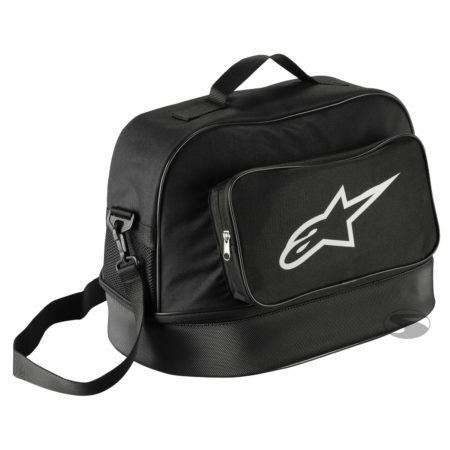 The Alpinestars Flow helmet bag is manufactured in a water-repellent polyester. Any open or full-face helmet can be safely stowed in this bag. The sturdy bottom protects the helmet from below and the soft fleece lining inside protects the helmet from scratches during storage and transport – the helmet stays clean and dry. The additional zipped compartment on the side of the helmet pocket is particularly suitable for the placement of gloves or headsets. The Alpinestars Flow includes carrying strap and removable strap.